I am in the underground passageway of a complicated station. It seems that I got lost in the middle of changing. The route map was displayed before the ticket gate. It looks like a circular maze. Anyway, I have to go to the next station. 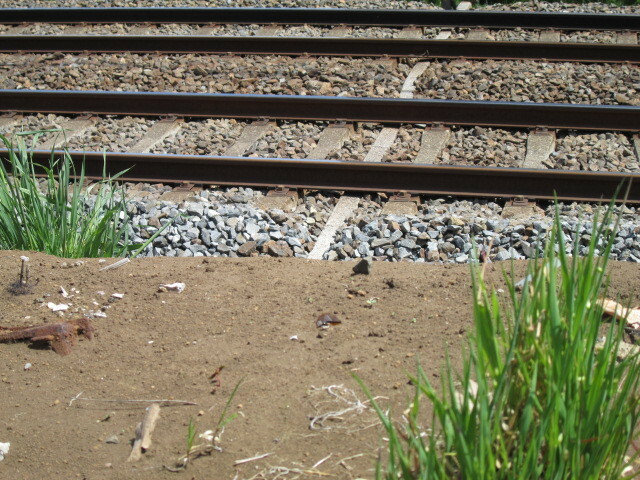 The sandwich pattern of home and rail follows. that's no good. The train came. Go down the home and cross the railroad. The head car approaches from the right side of view. How to jump over a jump box. I got my hand at the edge of the house opposite, jumping! Hooray. It is a success. There is no pain anywhere. Whether both legs are not cut.